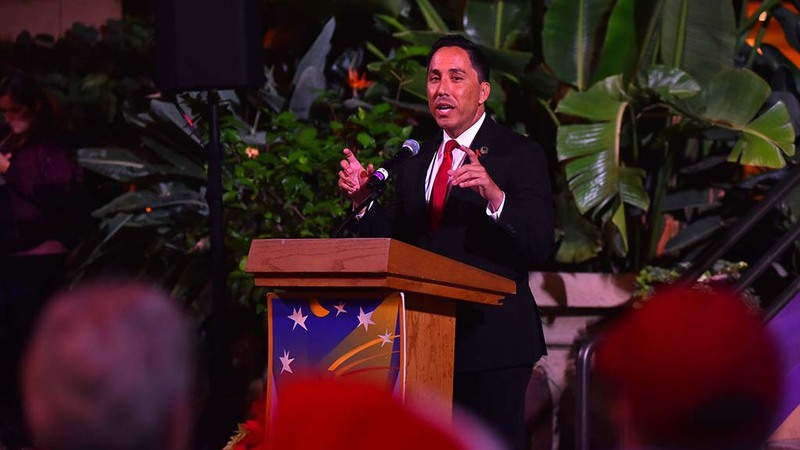 San Diego Youth Services received $2.5 million to help homeless youth with services and housing, Assemblyman Todd Gloria announced Tuesday. Walter Philips, CEO of San Diego Youth Services, said the money will be the catalyst for a system to ensure that housing and services are available for homeless youth anywhere in the San Diego region. “Together, we will make a real impact in ending homelessness amongst youth in San Diego,” Philips said. SDYS will partner with South Bay Community Services, YMCA Youth and Family Services, The Center, Home Start and the Regional Task Force on the Homeless to expand resources for young people in need, Philips said. The $2.5 million is part of a $10 million overall allocation distributed to four counties around the state. The $10 million was provided to the Office of Emergency Services as part of the Homeless Youth Emergency Services and Housing Program, said Nick Serrano, spokesman for Gloria’s office. Qualifying organizations that serve homeless youth submitted funding requests detailing how they would provide options such as rapid re-housing, rental assistance and transitional or supportive housing, Serrano said.